The threat of Islamic State of Iraq and the Levant (ISIL) is important because it is neighboring country, with a strong military and support from the United States. Determining the importance of the threat of the Islamic State of Iraq and the Levant (ISIL) relative to other threats to the country. 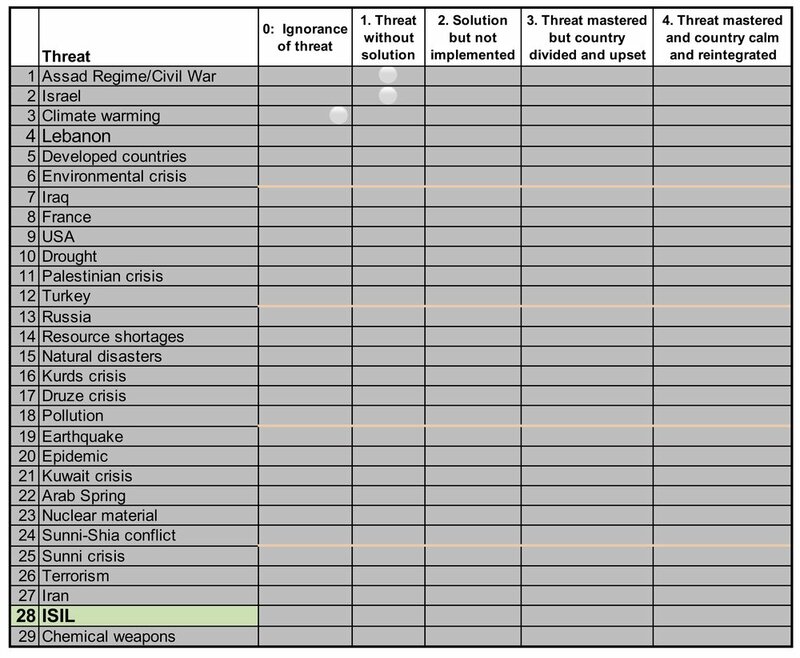 As shown in the chart below, the threat of ISIL ranked 28th most important.